This cool rainy weather has me reaching for sage a little more. It adds warmth and depth to so many dishes. Simmer whole leaves of sage in broth in a pot, on low on the back of the stove. In another pot, sauté onions, garlic, carrots until tender and starting to caramelize. Remove (and discard) the sage from the broth and add the infused broth to the vegetables. Add any of these options: shredded cooked chicken, cooked beans, small pasta or rice (cooked), diced tempeh or tofu. Just before serving, add a handful or two of fresh spinach, chopped parsley, and a few grates of lemon zest. Very easy weeknight soup. I also love to use sage with roasted meats, chicken and vegetables. I stuff whole handfuls of sage inside the cavity of a chicken before roasting it. Add a lemon, a few cloves of garlic, salt and pepper, and it will add tons of flavor to your chicken. I also like to finely chop 5 or so leaves of sage along with 2 cloves of garlic, a teaspoon or two of lemon zest, and and a 1/2 teaspoon of coarse salt. I just smash and chop it all into a paste right on the cutting board, but you could also put it in a food processor or use a mortar and pestle. Then I toss washed and chopped root vegetables with this mixture, drizzle everything with olive oil, toss again, and roast in a preheated 400F oven for about 40 -45 minutes, until soft and caramelized. Or I will take the lemon / sage mixture and rub it all over a pork roast or beef roast before it heads into a hot oven. These are all simple things to make in big batches so that you can use leftovers for lunches or hurried week night dinners. 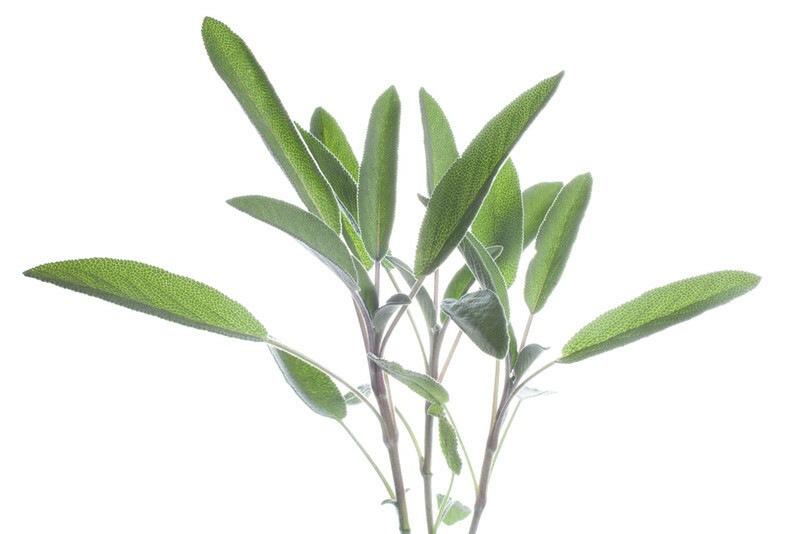 If you aren't able to harvest sage out of your own garden, you can find ours at Market, Healthy Living Market and Cafe, Shelburne Supermarket, Lantman's Market, Natural Provisions Market & Deli, and Hunger Mountain Co-op. Warm up and enjoy! We will sell bulk herbs (1/2 a pound or more)directly to customers if you arrange it ahead of time. We have thyme, rosemary, sage, savory, marjoram, oregano, and mint. This is a great way to dry and put away herbs for the winter. I keep paper bags of herbs loosely closed all winter long. and ornamental gardens in your life. Receive our Newsletter. Sign up below!